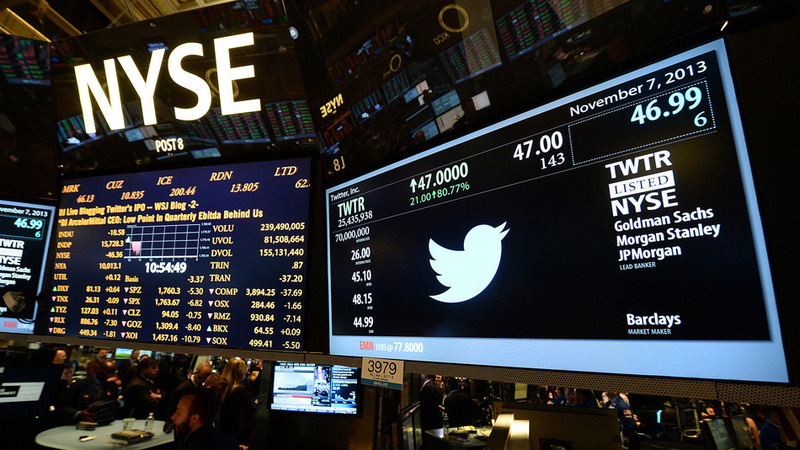 What we are suggesting is that Twitter share price will see no big changes in the short term. It may still be sticky around 40-45$ in the very short-term and eventually move for a variety of reasons, such as poor yearly results or other macroeconomic factors. On November 15th, Twitter options were finally listed, with strike prices from 35 to 50$ and weekly and monthly maturities starting from November. On the first day of trading, the overall Put-Call open interest ratio was 2.02:1, with estimated implied volatility around 50-60. This shows that many investors are buying Put options in order to hedge their long position. Again, this is consistent with our view since those same investors won’t be willing to change their protective put position in the short term. 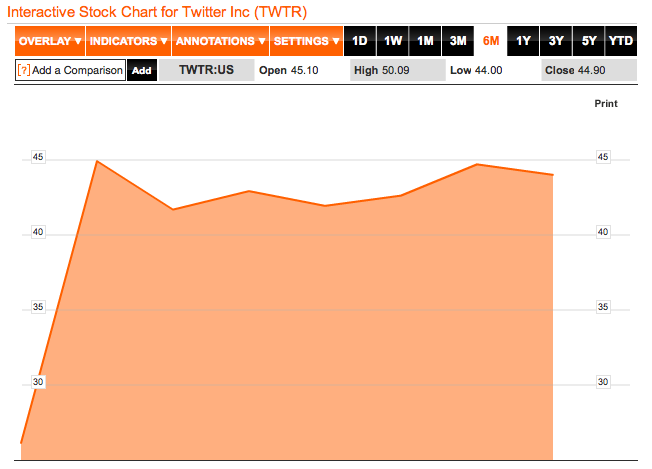 Our strategy relies on the short-term stickiness of TWTR price. 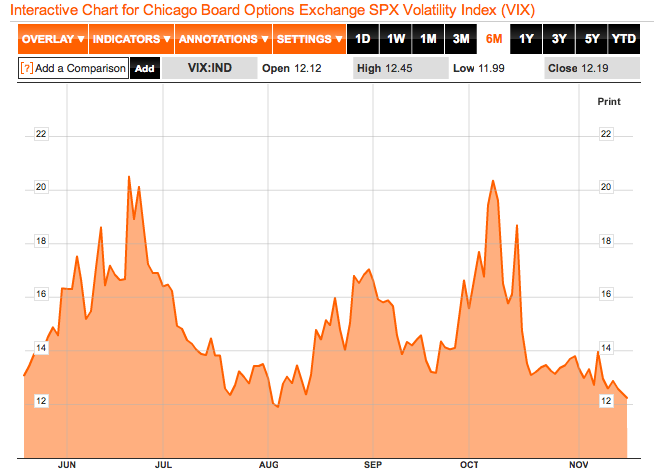 In practice, we believe that the implied volatility embedded in the current price of TWTR options is overestimated. For this reason, we suggest to open a position with a high theta and negative convexity: a short strangle, which consists in selling OTM Calls and OTM Put options. This means we would have a non-negligible premium upfront and receive theta until expiration. It is, essentially, a bet on theta, gamma and vega. Furthermore, if our view is correct in the short-run, implied vol will decrease, and it won’t be too expensive to close the position. Maturity: 2 weeks. Before saying the role of Twitter in this environment, it is useful to analyze the behavior of the previous greatest deals of the post-Google era. I will take as an example two very successful companies, Linkedin and Facebook, in comparison with the stagnant Zynga and Groupon. Even if the outcome (for now) has been very different, with Linkedin to the moon (+124%) and Facebook up (at least profitable) while Zynga and Groupon are down into the abyss, they are highly-correlated stocks and thus they represent a benchmark for Twitter. 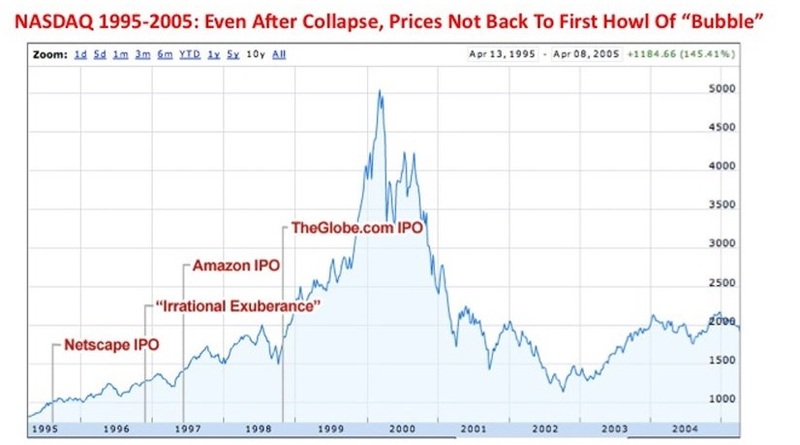 Zynga and Groupon, in few words, have missed the high-growth promised to investors: for this kind of stocks, stagnancy (or poor growth) means crisis, because the market tends to discount years of (fast) growth in the IPO price. In a year, Zynga and Groupon had reduced respectively 5 and 10 times their Price per User ratios (Price to Revenues were down for the same multiples). Facebook and Linkedin followed the high-growth plans (although with some initial milestones missed by the first) but their stocks were approximately in the same range of the closing price of the first day after a year; however, the ratios were far from there: Facebook was offered at about $110 per user (more or less the price for Twitter’s) and after a year the value was halved, as it was the Price to Revenue. Linkedin users were valued $58 after a year ($89 at the time of the IPO), and also here the Price to Revenue was halved. 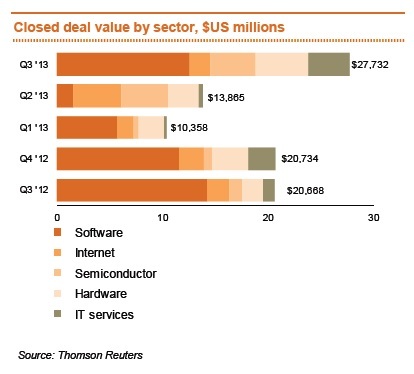 In these cases, the market had already discounted the fast growth that the companies were showing. Despite some analysts have been fast to change Twitter’s rating to sell and the strong interest in put warrants underlined by the issuers of structured products, we expect the stock to remain in the $35-$45 one year from now, unless a series of bad quarters would change the entire outlook of the company. Thus, we suggest holding TWTR as a medium run investment.